خطای عبارت: عملگر < دور از انتظار مدار ۴۰ درجه شمالی، دایره‌ای از عرض جغرافیایی است که در ۴۰ درجهٔ شمالی خط استوا قرار دارد. ↑ -. اطلس گیتاشناسی. مؤسسه جغرافیایی و کارتوگرافی گیتاشناسی، ۱۳۸۷–۸۸. صص ۱۴–۱۵. شابک ‎۹۷۸-۹۶۴-۳۴۲-۲۷۰-۷. 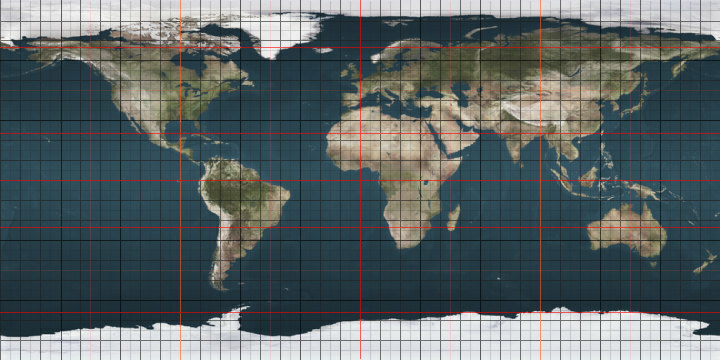 The 40th parallel north is a circle of latitude that is 40 degrees north of the Earth's equatorial plane. It crosses Europe, the Mediterranean Sea, Asia, the Pacific Ocean, North America, and the Atlantic Ocean. At this latitude the sun is visible for 15 hours, 1 minute during the summer solstice and 9 hours, 20 minutes during the winter solstice. On 21 June, the maximum altitude of the sun is 73.83 degrees and 26.17 degrees on 21 December. The parallel 40° north forms the boundary between the states of Kansas and Nebraska. On 30 May 1854, the Kansas–Nebraska Act created the Territory of Kansas and the Territory of Nebraska divided by the parallel 40° north. Both territories were required to determine for themselves whether to permit slavery. Open conflict between free-state and pro-slavery forces in the Kansas Territory was one of the root causes of the American Civil War. The parallel 40° north formed the original northern boundary of the British Colony of Maryland. A subsequent royal grant gave the Colony of Pennsylvania land north of the 40th parallel but mistakenly assumed it would intersect the Twelve Mile Circle, which it does not. 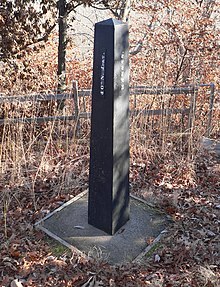 Pennsylvania's border was thus unclear and the colony pushed for a border far south of the 40th parallel. The Mason–Dixon Line was drawn between 1763 and 1767 as the compromise boundary between the overlapping claims of these two colonies. The parallel 40° north passes through the cities of Philadelphia, Pennsylvania and Columbus, Ohio; as well as northern suburbs of Indianapolis, Indiana and Denver, Colorado The parallel goes directly through the John Glenn Columbus International Airport, with runway 10L-28R lying immediately north of the line, runway 10R-28L lying slightly south of it, and the line going through the northernmost edges of the terminal. It also passes through the main campus of The Ohio State University; specifically, it cuts directly across the Oval greenspace, between University Hall and the William Oxley Thompson Memorial Library. Ohio Stadium, one of the largest stadiums in the world, barely misses the parallel 40° north (6 seconds above 40° north). Baseline Road in Boulder, Colorado, traces the parallel 40° north. Thistle, Utah, a ghost town since 1983, is slightly (30 seconds) below 40° north. این صفحه آخرین‌بار در ‏۱۲ فوریهٔ ۲۰۱۸ ساعت ‏۱۴:۴۱ ویرایش شده‌است.